FireCrunch is primarily a fire protection product, however, when water surface sealed (see Recommended products web site) it is also flood resistant building product . In cases of flooding, simply clean off the excess dirt and debris, and let it dry. Water and flooding cause extreme damage to properties in low-lying areas of Australia throughout the year. FireCrunch’s reliable building boards do not degrade or deteriorate in water when surface sealed. Ideal for flood protection whilst being a mould resistant building board where the framing can be dried out and the board resealed and re-painted at a low cost. FireCrunch is primarily a fire protection product, however, it’s fire resistant and fireproof building qualities are not all it provides. There is no such thing as waterproof plasterboard and water proof building board. 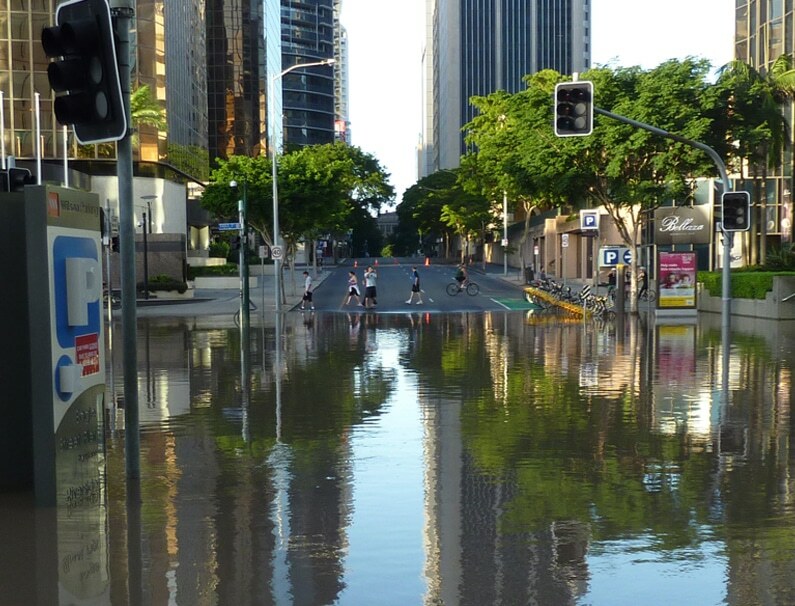 Water and flooding cause extreme damage to properties in low-lying areas of Australia throughout the year. FireCrunch’s reliable (MgO) Magnesium Oxide ( MgSO4) “Mag sulphate” boards do not degrade or deteriorate in water and floods after sealing . Ideal for flood protection whilst being a mould resistant board where the framing can be easily dried out and the board resealed and re-painted at a low cost. Compared to a complete replacement of plasterboard that will be destroyed again in the next flood, FireCrunch is a highly cost-effective solution.See Technical/FAQs. Magnesium Oxide Board (MgO) has an excellent resistance to water as well as fire. We strongly recommend the use of FireCrunch in flood prone area building as well as lesser potential damage areas such as kitchens and bathrooms where water will be an issue. The added level of protection that FireCrunch offers in terms of all variable conditions ,compared to so called water proof plasterboard, is just invaluable and ensures that future maintenance is almost nil. Call 1300 933 102 or email technical@firecrunch.com.au for more Information.